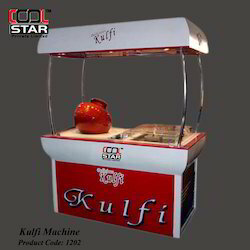 Cool Star have gained vast expertise in offering Matka Kulfi Counter in a wide range to our clients, which can be obtained from us at market leading prices. These are fabricated using an extensive quality material from our reliable vendors. The unmatched quality and unsurpassed performance in respective applications made these highly demanded in the market and are also known for its high durability, tensile strength and resistivity to adverse conditions. Ice Temperature: 0 ?? ?~-5 ??? 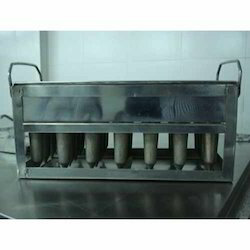 Looking for Kulfi Machine for Ice-Cream Parlor ?